Gynecomastia, also known as enlarged male breasts, is a common disorder related to the endocrine system that generates the non-cancerous increasement of the breast tissue in men’s chests. This kind of condition is very common among adolescent boys because of the hormonal changes generated by puberty, but it frequently transcends into adulthood in a way that medical interventions are needed to reduce it. Several procedures are usually used to treat this specific condition depending on the patient’s desires and considerations, but amongst them, the methods that provide the best and quickest results are the surgical ones, such as mastectomy, liposuction, and laser-lipolysis, which is the less invasive one. All these alternatives available in the medical office of Doctor César Calderón aim to completely eliminate any trace of this endocrine disorder and provide male patients with enlarged breasts a solution for a physical condition that might affect their self-esteem and personal confidence. Liposuction: it consists in the extraction of fat in the glandular tissue, which generates the enlargement of the breast. It is usually done under local anesthesia and involves a small incision in each side of the chest, which will be located depending on your preferences and the surgeon’s recommendations, that will aim to generate better-looking results. Laser-lipolysis: laser treatments are becoming highly demanded due to the fact that they are much less invasive than other methods. Laser-lipolysis consists in the stimulation of the glandular tissue of the breast, allowing it to break down fat cells. This treatment requires little incisions made in the areas where fat needs to be dissolved, a procedure done under local anesthesia. Mastectomy (Tissue extraction): this is the procedure used to treat the most severe cases, also it is very frequent among men whose enlargement generated the stretching and the sagging of the skin around the breast. For this extraction, an incision is made around the areola or within the natural creases of the chest. General anesthesia is used. Liposuction is the winner of these three because of its low price and its minimally invasive nature.Only men that haven’t had good results with liposculpture procedures decide to take mastectomy as their option. The average cost of any kind of gynecomastia surgery in the US is around $3,520, and in different places of Latin America costs may vary depending on the patient’s’ requirements and the level of expertise of the surgeon, but treatments are usually almost 50% cheaper than in the States. They also depend on the kind of treatment packages that you choose, that might vary according to the clinical offices. In that sense, Doctor César Calderón’s medical offices offer the most well-balanced options, in terms of a price-experience relation, that you can find in Latin America. After becoming a patient of a gynecomastia surgery, you will notice an immediate improvement in the look and the shape of your breasts. The feeling of being sore will likely last a few days and the pain is usually minimal, one of the reasons why men don’t hesitate when deciding to have a breast reduction or not. Right after the surgery, your doctor will probably prescribe you the medication needed for your recovery, but many men find out that over-the-counter medicine is just enough for them. Also, it is very frequent for patients to be given a compression garment or implements alike that will help keeping the skin where it is supposed to be and will make them feel more comfortable during the whole healing process. Although the period of recovery is unique for every patient, most men feel ready to come back to work few days after their surgery, depending on the nature of their jobs. Some men experience loss of sensations around the treated area, especially in the cases of mastectomy, but this kind of feeling is almost always temporary and should disappear in a few months. Men breast reductions are aimed to be permanent, all methods involve the extraction and removal of tissues. However, not even the surgery can completely ensure that this condition won’t appear ever again. For that reason, it is recommended for any man that chose to have a surgical intervention like this to keep healthy habits and maintain specially designed diets. Also, it is common that drug using, especially when it comes to drugs that affect the endocrine system, can generate changes in your body that might affect final results, so is very important to keep the development of your recovery tracked by a doctor with experience and knowledge that can recommend you how to treat your body right after the surgery, in order to make that long-lasting effect really permanent. While losing some weight can help reduce the appearance of mean breasts, the excess of glandular tissue can cause that even lean patients notice sort of a breast enlargement. 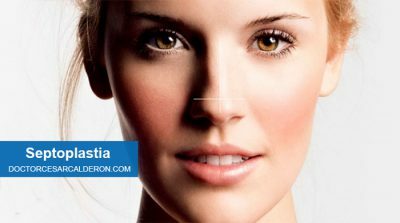 In that sense, surgical reduction is the best way to ensure good results in the resolution of gynecomastia. There is no other treatment that guarantees permanent or long-lasting results. It is very frequent among patients that have gone through this kind of procedures to feel very confident about their bodies. They go out shirtless and enjoy body-exposure experiences in a better way. So this is the perfect type of intervention for those who feel afraid of showing their chests in public or wear skinny clothes because of the sizes of their breasts. 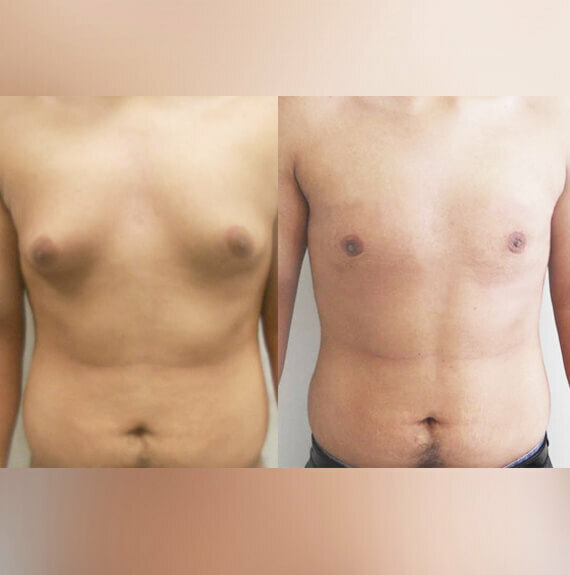 Although male breast reduction is one of the simplest and most straightforward cosmetic procedures for men, as any other type of medical and surgical interventions, good results depend on the hand of the surgeon. So it is very important for anyone that is considering passing through this process to analyze different factors about their surgeon to ensure their good performance. Expertise: if someone wants to have good results, as in any other situation, it is needed to verify the experience of the professional that is going to execute the operation. In a meeting at a medical office it is possible to ask the doctor about how many times he or she has done procedures alike, request pictures of prior patients and define if the doctor’s esthetic standards are aligned with yours. Certifications: professional certifications from medical associations and institutions are another way to guarantee high-quality treatments. Accreditations from different foundations and medical groups are only given to those who experience medical residences and pass through specific exams to prove their capabilities and skills. Such as Doctor Calderón, who is Member of the American Society of Plastic Surgery. Confidence: rapport between the patient and the medical specialist is very important. For anyone that is going to experience any kind of surgical procedure like this, it is necessary to feel completely connected and safe with the doctor that is going to lead the intervention. If you want to have this surgical procedure of the hand of a plastic surgeon in Lima Perú as the Dr. Cesar Calderón, contact us at: 951685382 o tlf: (044) 422760 and get a date.